I was thinking the same thing -- the camel stood still for this?? Then I thought -- is there some kind of social status involved in your camel's hair cut? As for that picture, you shouldn't tell us it was an accident. That was seriously on purpose, right? Dianne -- Um...yeah. On purpose. I knew it would...aw, heck. Nope. It was a total accident. I was just trying to get a digital image of the spine, and didn't think my hands would show up like that. But, um, perhaps my subconscious did? Yeah, that must be it. I have a very creative subconscious. That camel is impressive. He must be one patient camel. Wow. Coolest camel on the block. Or dune. Whatever, it's cool. Also, I dig that picture. It has a real Hand of God vibe going. Nice. re: in a fix pic: admit it, you have a ghost, and it was trying to carry your book away to all his little ghost friends. I don't know which pic I like more, the camel or In a Fix. I like the ghostly image. Great job even if it was an accident. 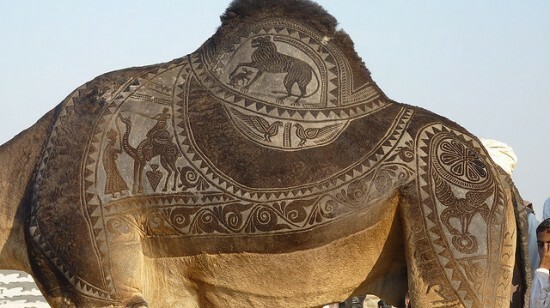 that camel art is shaved onto the camel? holy crow! impressive. that IN A FIX picture? it reminds me of the aura adapting. it's like that moment when she's shifting from one to another. so cool! I hope that camel got some sort of a camel treat for putting up with that. That's worse than people dressing their dogs and cats in silly costumes. Now you've got me wondering what kind of special effects I could pull off with my scanner. My son has a thick beard and I'm often tempted to carve a note into it while he sleeps: "Clean room!" Cool camel pic. 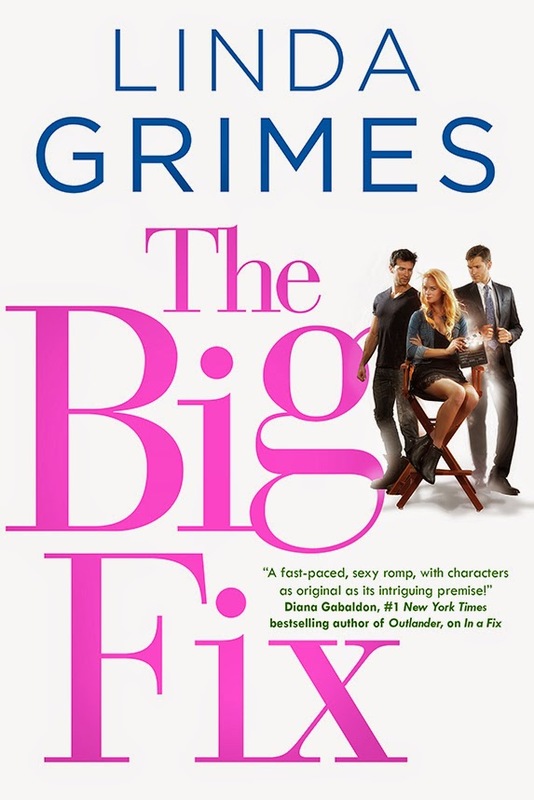 Totally awesome pic of your book. And I love the camel art! I can't even imagine putting that kind of time and effort into sculpting a throw rug, let along a living, breathing (and probably irritable) camel. 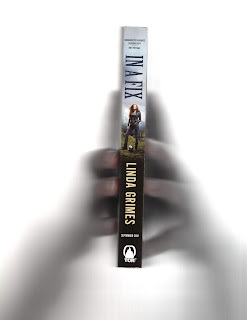 I love that picture of your book and hands! Way cool! I like the scanned image too - not quite in the camel art league though. That really is amazing. The scan image is kind of eerie too. Whoa, I didn't realize it was shaved in the camel. Cool. 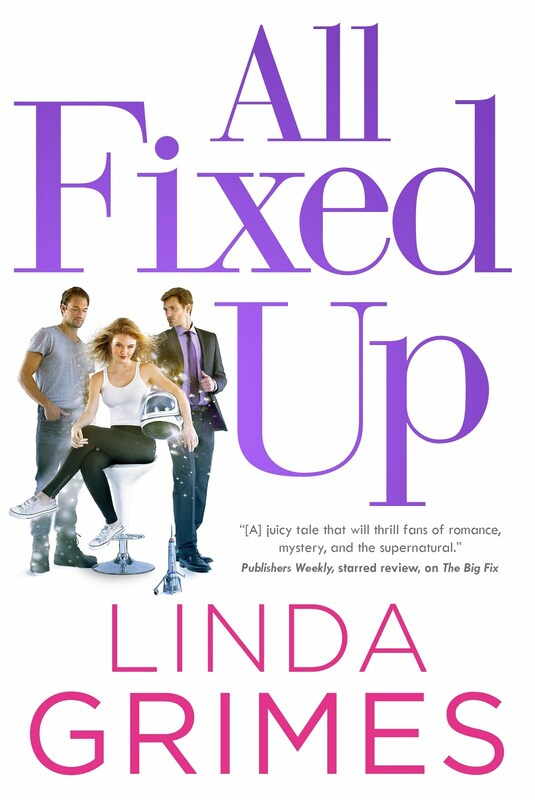 That picture of IN A FIX is one of the coolest things I've ever seen!